“[G]runt” is slang for an infantryman or foot soldier. It is thought that this term arose during the Vietnam War [in 1969. But since] around 1900, “grunt” has been a word for a low-level worker or laborer. This is the likely origin of the term “grunt work,” referring to a job that is thankless, boring and exhausting but necessary. There is no record of how this word became applied to infantrymen though it is indisputable that infantrymen often engage in grunt work. But there is an alternative. When you join the real “Army of Christ” you don’t have to spend your career going over the basics, going over the “fundamentals” again and again. In plain words you don’t have to stay a “Fundamentalist.” You aren’t locked in to re-learning the Five Fundamentals over and over. Instead – just like the U.S. Army – after boot camp you have the option to go on to “Advanced Individual Training.” And some of those “advanced jobs” are pretty exciting. Which brings us back to real soldiers in the Army of Christ, as opposed to “garritroopers.” An example of such a soldier is shown at the top of the page, drawn up by Bill Mauldin during World War II: “Too far forward to wear ties an’ too far back to get shot.” But “getting shot at” – metaphorically or otherwise – is just what a real Soldier of Christ signs on for in his career. And in yet another spelling, the word “Garrett” – as in “trooper” – is said to come from an old army word for barracks. So a “Garrett trooper” is one who hangs around the barracks. However – since “hang around the fort” has a negative connotation – the better term could be “hold down the fort Christians.” Which is of course a highly necessary task. The modern U.S. Army Pathfinders are an elite force making up less than .01% of the total Army. Their primary mission is to infiltrate areas and set up parachute drop zones and helicopter landing zones for airborne and air assault missions. The upper image is courtesy of Garret Trooper Bill Mauldin – Image Results. Re: “Soldier of Christ.” See also 2 Timothy 2:4. In the King James Bible – the one God uses – “No man that warreth entangleth himself with the affairs of this life; that he may please him who hath chosen him to be a soldier.” Likewise the “endure hardness, as a good soldier of Jesus Christ” quote is from the King James Bible. And see Ephesians 6:11, vis-a-vis the Armor of God, explained in Wikipedia: “This armor seems to be in direct correlation of that of the Roman Empire‘s soldiers,” at the time. These bands [of Native Americans] lived next to the agencies and tried to live like members of the dominant [white] culture, [and] were rewarded by receiving the best and most of government aid… Those who were adopting the dominant culture’s ways became the “hang-around-the-fort Indians,” and that term became a contemptuous epithet used by those who were trying to live the traditional ways of the Lakota culture. Re: Army “skill sets:” Artilleryman, paratrooper, ranger, sniper, engineer, sapper, medic, or gunner. Also, re: “rangers, scouts, ‘recon,’ or pathfinders:” See U.S. Army Rangers – Wikipedia, Cavalry scout – Wikipedia, Black Seminole Scouts – Wikipedia, Reconnaissance – Wikipedia, and/or US Army Pathfinder School – Wikipedia. 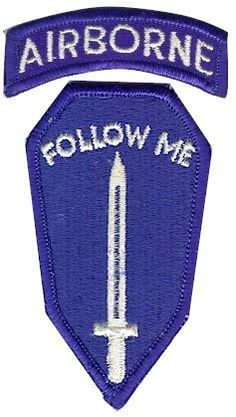 The “Follow me” image is courtesy of US Army Follow Me Insignia – Image Results. 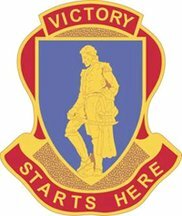 See also, United States Army Infantry School – Wikipedia. This entry was posted in Not your daddy's Bible on November 13, 2018 by dorscribe@aol.com.